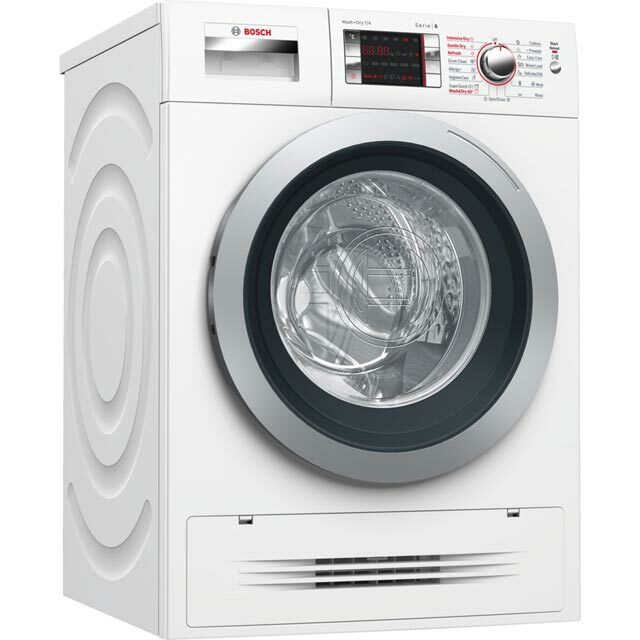 For efficient, reliable performance, this integrated Bosch washer dryer is ideal. 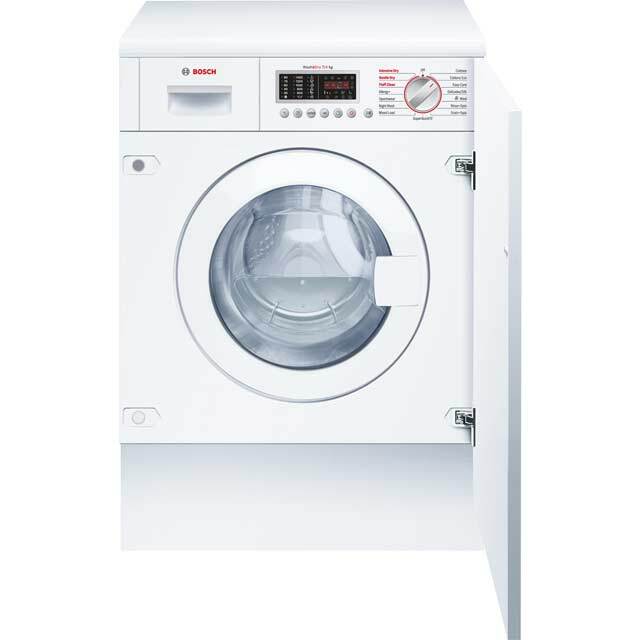 With a 7kg wash load, it’s great for medium-sized households. Thanks to clever ActiveWater™ technology , it weighs the load and adjusts the amount of time and water needed for the perfect clean, giving incredible results. It takes care of your clothes too, as the 3D Aqua Spa feature releases water into the drum from 3 points, while special paddles gently move your laundry. And, once everything’s clean, AutoDry technology detects how much moisture is in the load and ends the cycle when everything’s totally dry, protecting your fabrics as well. 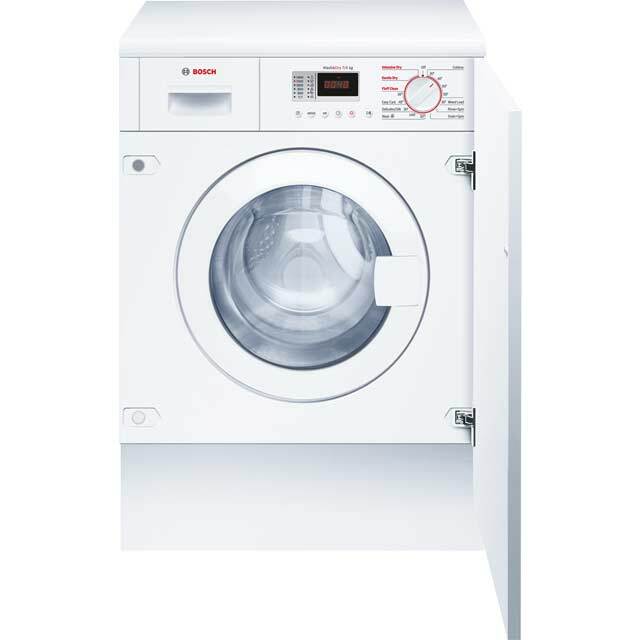 We purchased this washer drier to replace a previous Bosch model which we had had for over twelve years and was trouble free until it’s end. This new model is so much quieter and easier to use. Have only had the washing machine for a week but it seems to do what we wanted - easy wash cycles by temperature and easy drying options for straight afterwards. Haven’t used more complex programmes yet. Not as quiet as I would have liked for an open plan space. Good quality product. 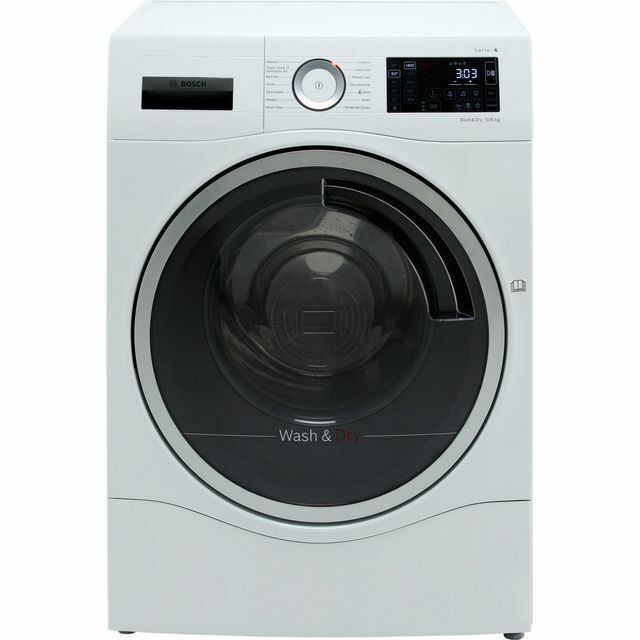 Some compromise having a dryer/washer comparison to having a washaing machine and dryer, in terms of functions and styling loads. First Bosch washer drier lasted a great 10 years with no problem!! So did not hesitate to replace with the same. So far it is working as expected the only thing I have noticed kids small socks or underwear appear to get stuck in door so miss out on the spin cycle. Still getting use to it so may be it's my loading. After our old machine broke down, we needed to get a new machine in ASAP. The new machine is more powerful, quieter and an overall better product that what we had before, so we can’t complain! we never knew what a good dryer could do until we got this machine.